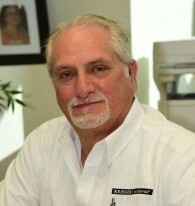 Ernie Stein has been in the industry since 1968. He started as a messenger with one of the largest Customs Brokers in Los Angeles (Fritz Companies). He continued working at various Freight forwarders, Customs brokers and local freight management companies including the multinational Emery Worldwide for 11 years. After leaving Emery he was hired to open a Los Angeles office including qualifying for a local permit and getting approval for ABI Customs interface. He was tasked with getting the Los Angeles branch up and running from A-Z and did so in 3 months. He has worked in all facets in the industry including export, import and domestic transportation. He continues to work on several special projects that require intense supervision and travel. He has been a licensed Customs Broker since 1996. He began at Norman Krieger in 2000 as the Brokerage manager and has risen up to the current position of Vice President of Imports at Norman Krieger. His Customs Brokers license also currently qualifies for local permits for our border operations. He also acts as the secretary of the corporation on the board of directors. In addition, currently manages, maintains and creates sales for many large and medium size corporations. Tasks include trouble shooting, client complaint resolutions, project consulting and overall customer maintenance for several large and medium size clients. Copyright © 2018 Norman Krieger Inc. All Rights Reserved. | Operating license held under Norman Krieger, Inc.